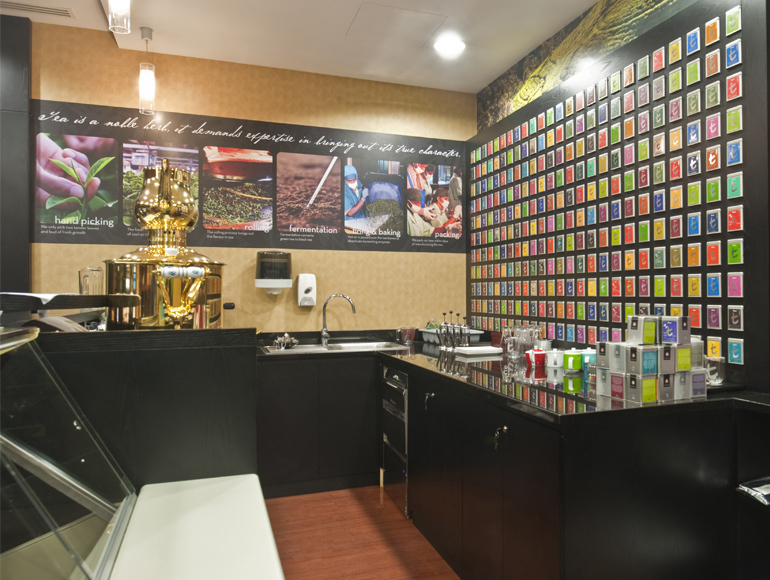 Dilmah is a family run company and is one of Sri Lanka’s most famous international success stories as it has grown to become one of the world’s top 10 tea brands. 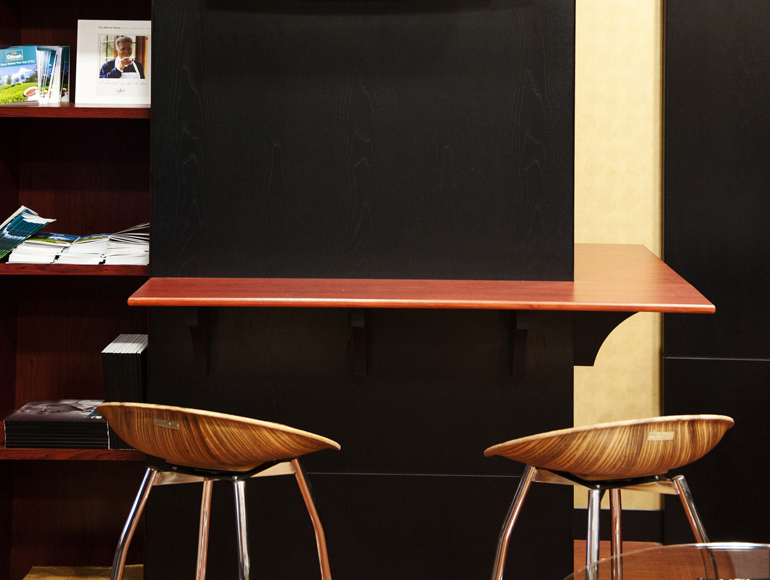 The company’s values create a strong synergy with Summertown – quality, ethics and environmental beliefs form the basis of Dilmah’s core values and vision. 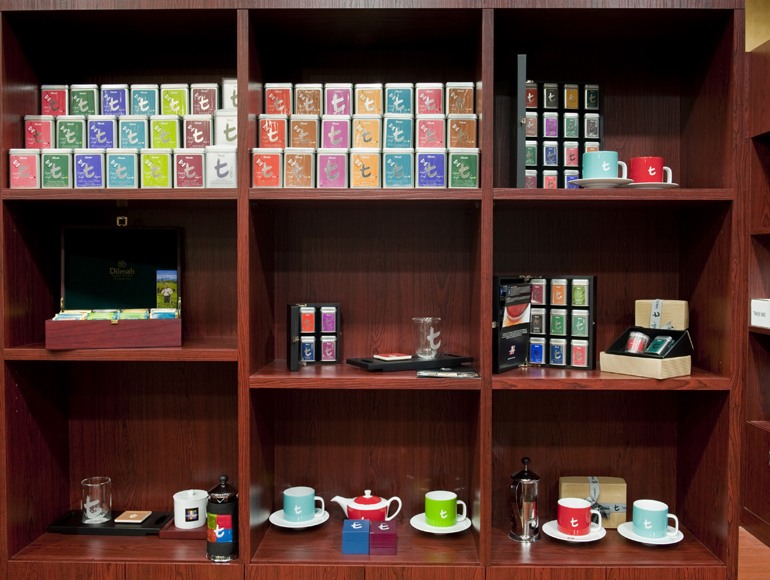 Their first venture into the Middle East was to bring their boutique designer tea brand, T-Series, to the UAE. 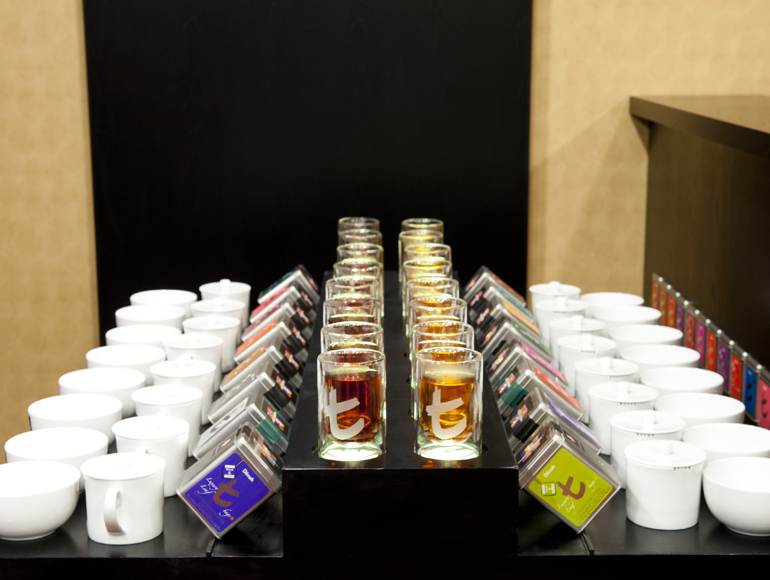 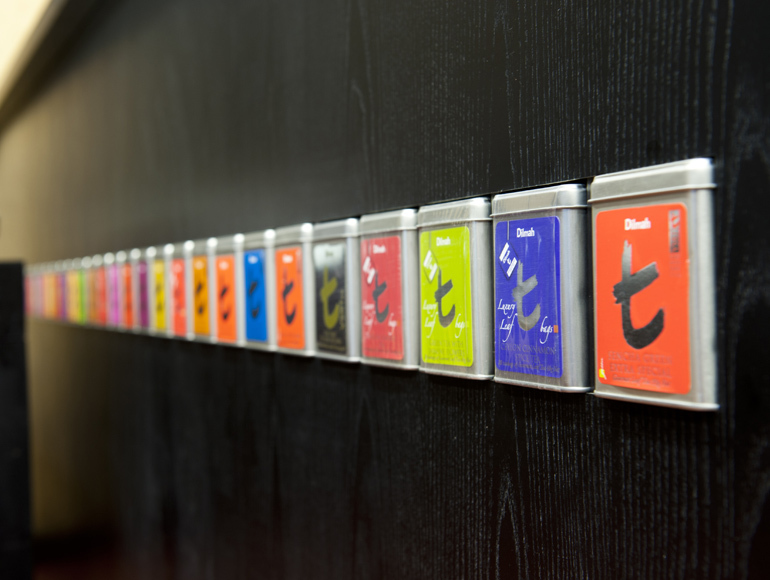 The interior needed to reflect the high end positioning of the T-Series brand and needed to visually display the breadth and depth of the tea range. 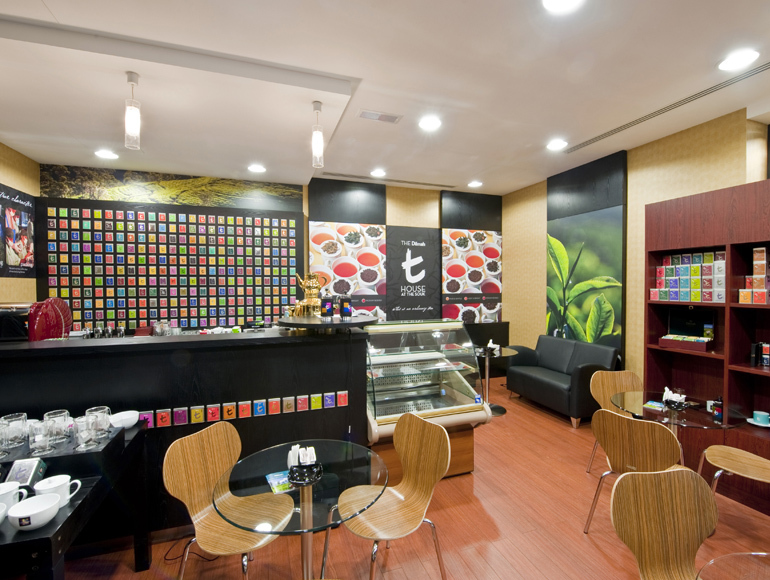 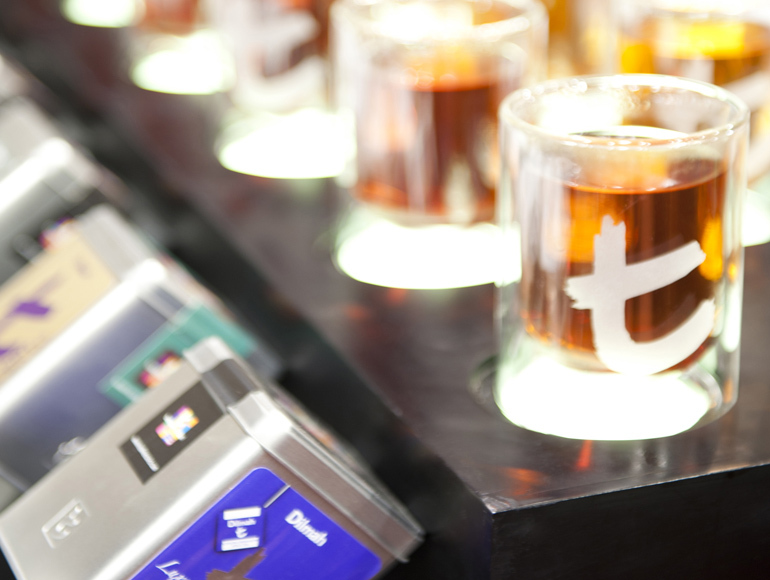 The main features within the shop include the preparation counter, and the T-Series Tea Wall which is a common feature throughout the T Shop boutiques.